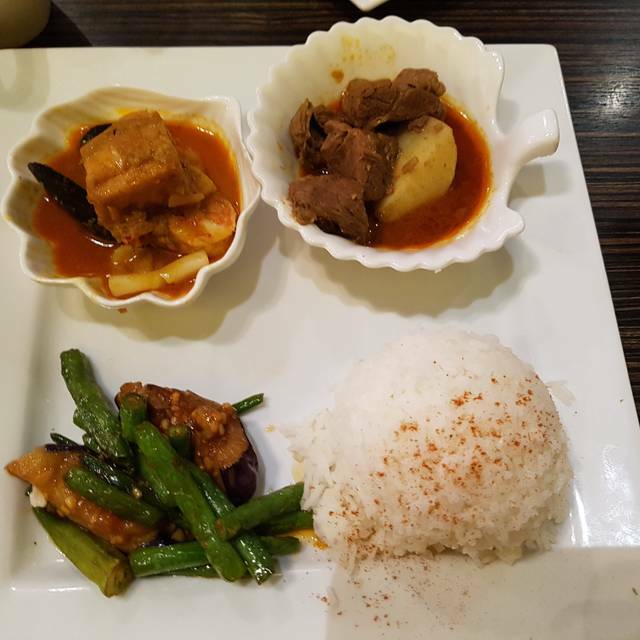 You must make reservations at least 5 minutes in advance of the time at Kaya Malay Bistro. Public Transit stop just located of the same block of our restaurant. A few blocks away from the Sky Train station. Catering under 200 people, finger food, curry, tapas, entrée, dessert . Dine in a Vibrant, Culturally unique lounge environment and taste the award winning Contemporary Malaysian cuisine . The entire restaurant including the Bar Salon, the Mezzanine and the Main Dinning Room is also available. Order from the menu or let our chef create a menu, with no extra cost. 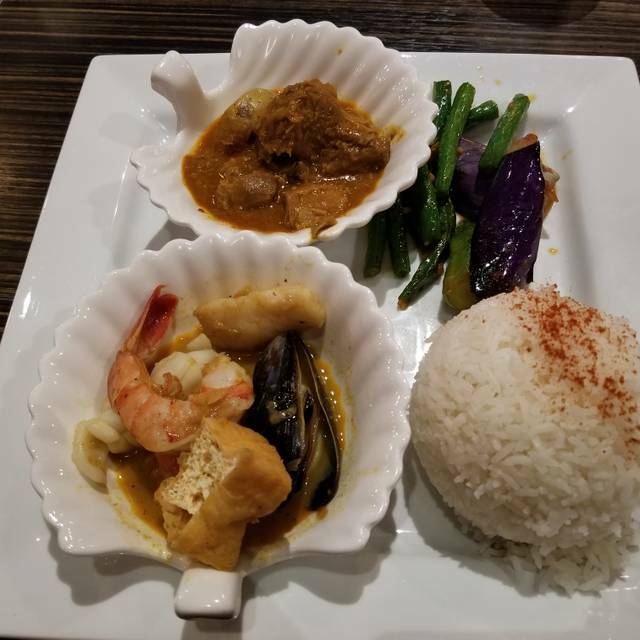 Contemporary Malaysian cuisine with French influences, including Soft shell Crab with Indian Peppercorn, Seafood Bouillabaisse in Assam curry, Singapore style chili Lobster tail, Rack of Lamb with Malaysian style Kim Heong sauce. Our signature is the Roti Canai and Tofu Goreng. (limited offer) Perfect for cheese cake lover with Pineapple filling in the middle. I really hope you still have room for this. (limited offer ) The ultimate fried treat is the one that sounds almost too good to be true!! Regarding by many people in Southeast Asia King of Fruits, Deep fried ice cream made with real Durian... Prefect for Adventure people!! 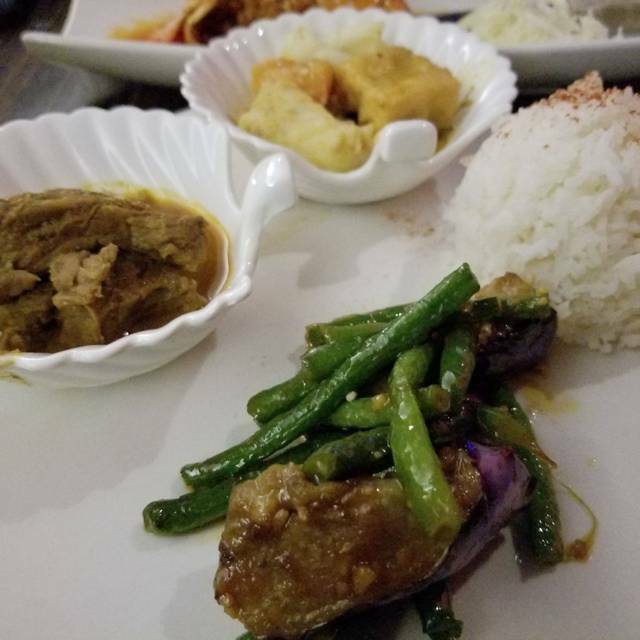 Dine in a Vibrant, Culturally unique lounge environment and taste the award winning Contemporary Malaysian cuisine Vancouver , B.C. Mother's day is May 12 Sunday , don't be left without table. Pamper your Mom in your life with special treatment! I came here for my birthday. We were there for 2 hours. The food was phenomenal. The service could be better. There were only 4-5 tables seated and once our table gave our drink/food orders. No one ever came back to see if we wanted another drink and it was really hard to get someone to come back even though we were right next to the bar. I like the green papaya salad and seafood pineapple fried rice. Waitresses are nice and attentive. I will definitely be back again. Went for an early lunch on a Saturday and mentioned that we need to leave within an hour. The service was great and fast. Food was tasty and good quality. We were surprised there were so few people. Perhaps it’s busier during weekdays and evenings, because you are missing out. This is going to be a regular spot for us from now on. Very quiet on a mid-week night, so we had great service. Food was yummy. Great satay, roti, curry, salad and deep-fried ice cream. Definitely will come back. Food is good. But waited for a while for entrée. And waited very long for deserts. Looks like under-staff. The host was welcoming and the ambience was good. He was willing to substitute fish for meat on the set menu, which was appreciated. The food was pleasant, but not amazing and some of the veggies were very greasy. Overall, it was a good representation of their menu. Service for our Dine Out Vancouver meal was incredibly slow. We had to seek a serverto order then waited a long time for food. Was there for dine out with a friend and we were happily surprised how delicious everything tasted (all except for the beef skewer which was dry like cardboard). The food came out hot, the stir fries and curry were perfectly flavored and the roti was flaky. The only down side was tho the servers were polite, they really need to work on their timing. Took awhile for the food to come and even after my friend got hers, she was almost done by the time I got mine. They had also punched in the order wrong so I was missing a few items off the dine out menu which I thought was coming later but in the end had to ask for. Was pretty annoyed when they tried telling me I ordered something else off their regular menu (while pointing to the dine out menu!) before they checked with the server that took our order and said they will make it right away. I soon forgot about it tho once I tasted it. The taste made up for the wait. The portions looked small but we were full in the end and quite happy as we drifted into a food coma. For $25, it was a great 3 course meal. We went here for Dine Out and it is such a great find! We will be coming back soon! Came here for Dine Out 2019. Menu selection was interesting and varied, which was part of the reason why we decided to come. We had also eaten here once before and enjoyed it enough to consider it again. After this experience, I’m not sure if we would go back again given the plethora of food choices in Vancouver. The food was good, but timing and portion size could be better. Good food but we got someone to take our order after sitting for 30 minutes at the table. Maybe they should hire more people over weekends if they are taking part in /dine-out. All food we ordered was so so but the Hanenise chicken that I expected to be good was disappointed, chicken had no flavor at all. Disappointed. Don't be steered away from the poor ratings from DineOut! The restaurant is quiet and clean. Food was tasty and service was prompt! It was excellent! The dine out meal was good value and delicious . Speedy and professional service a sharp contrast to other reviews so I am pleasantly surprised. 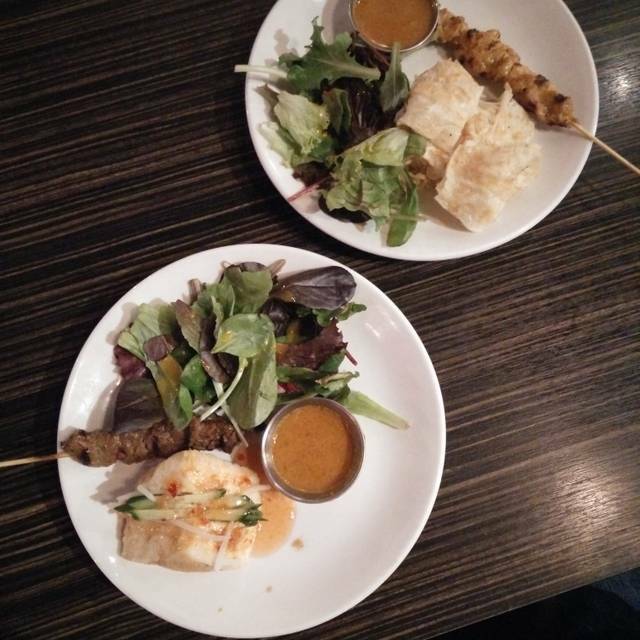 we went to Kaya for the vancouver dine out experience. we have been to Kaya before for the last 2-3 years but this time was the worst we have ever experienced. They charged $20 for the dinner menu which I know I shouldn't expect too much. But they couldn't even do the basic right. The portion was so small, the greens(appetizer)had a foul smell to it. Same thing with the main course, the portion was pitifully small and the food was barely warm. 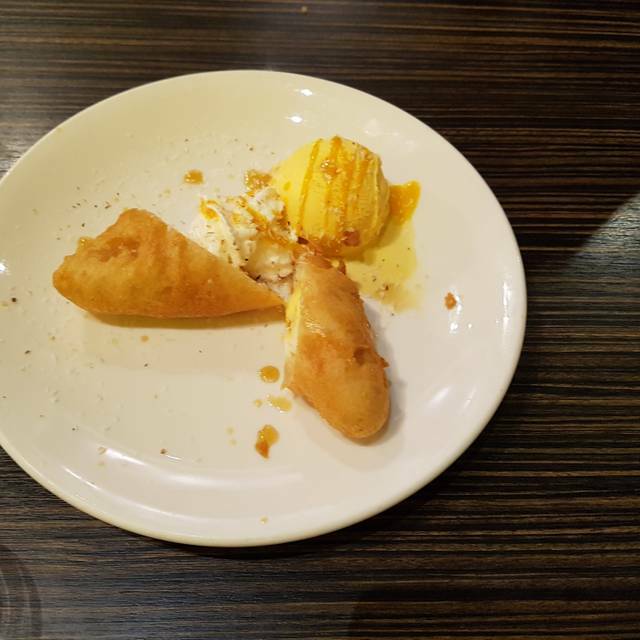 (it is supposed to be a hot dish)The dessert was ok. we ordered the fried banana with ice cream, and of course, we only have less than a half of the banana. They had a full house that night but they were totally under staff. The servers were trying their best but there were just too many disappointment/complaints with the customers and the servers couldn't manage at all. 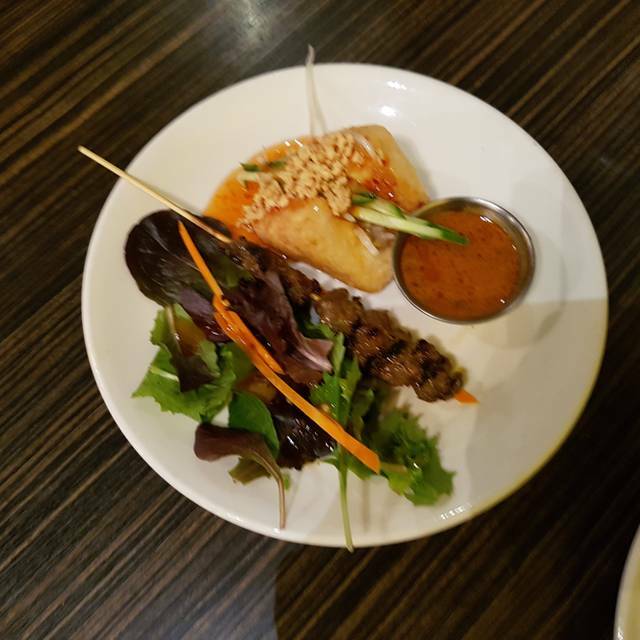 We had tried other $20 menu restaurants in vancouver and I have to say, Kaya is the worst $20 dine out experience we have ever experienced. We will not go back again for sure. Food was great. The server kept bringing other people's orders, but that didn't take away from the experience. Delicious Malaysian food, pretty authentic.. I lived there for two years and it seems spot on. Service ok and seating was tight and squishy. 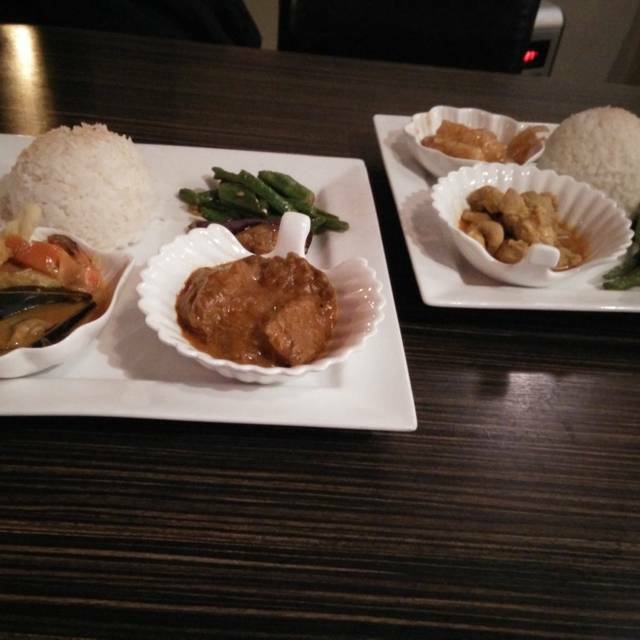 We tried Kaya Malay during Dine Out Vancouver. The week night that we were there they were very busy with a very large group that had come in just before us. This put quite a strain on the wait staff but they did their best to keep things moving. The Dine Out menu was amazing as it gave us a great introduction to the type of food and quality available here. Nice selection for Dining Out Vancouver. The server was on to us right as we sat. Nice opportunity for a wine taste. Appetizer, mains and desserts were sumptuous. Super slow service. Went here for dine out. Only 3 other tables were in and the waitresses barely acknowledged us. One was in a white shirt (maybe she was on her break), but she made eye contact and looked away. Only the other lady (think she was the manager or supervisor) served us and she was great. Thanks for making it better. Interesting Malaysian food in the Dine Out Vancouver 2018 menu. The two of us shared 2 menus, thus we have 6 dishes to sample. All being delicious and filling. Room for improvement for the Rendang beef though. In addition to the menus, we ordered an additional dish of tiger prawn belacan which was outstanding and finger-licking good. Waitress forgot our order, took over an hour to get our first appetizer. Since they forgot our order, they had run out of dessert options so we were forced to take whatever was left. Portions were extremely small, rice was dry and the food was very bland. For a big event like dineout you would think they would step up their customer service and food quality but it was very disappointing and not worth the money (even with a 10% discount for order mistake). We got the table at 6pm, and the food didn't arrive till 7pm. Waitress came with the entree first and missed our starter, then took away the entree because it was cold, and we waited for another 20 min for the starter to arrive, and it was wrong again!! I couldn't believe how their excuse was that they lost the order, it's just unacceptable for people who just want to enjoy some food after a tiring day of work. I will never recommend this restaurant to anyone in my life. The Dine Out Vancouver 2018 menu had lots of variety and was good value at $20 for 3 courses. Service was friendly too. Appreciated that they seated us 10mins earlier than our reservation time. The food was delish and you get to try a few things. Definitely great price for the DOV menu. 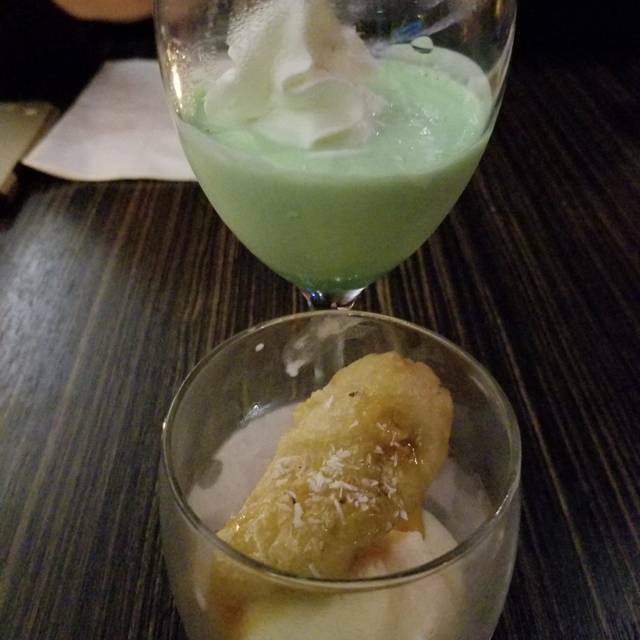 Only strange thing was the fried banana served in a glass. Maybe they could have sliced up the banana in a 3/4 chunky pieces, deep fried each piece and served in a more open bowl/plate rather than a deep glass. It was probably in a glass just to keep the ice cream frozen. The overall experience was great. Great service and tasty food! Tried Dine Out menu for lunch. 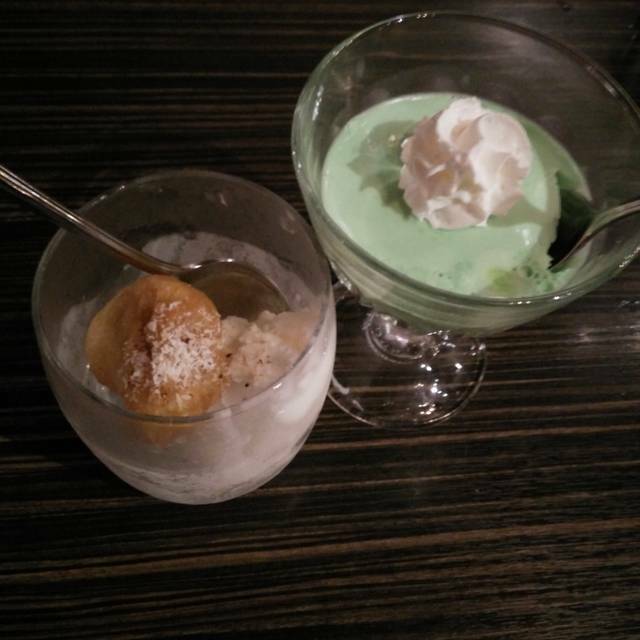 Only complaint is the desserts banana and ice cream mainly fried dough, sliver of banana found inside the fried dough. The rest of the meal was good! Went here for dine out. We made reservations @815 and we arrived 20 minutes early and they said it would be another 20 minutes after 815 for a seat. They said many people made reservations and that was why they couldn't seat people yet. There were at least 15 other people waiting. If you know you have a promotion, staff your team up! Could be more organized and have better communication between servers. Also, the food should be served all together so customers don't watch their friends eat while they wait. Otherwise, the food was amazing and the servers were friendly! i can't even get in the door, i booked a table but can't even get a seat. Very unorganize restaurant , will never recommend anyone or go there again. Booked a reservation at 7:30. When I arrived there was a massive line. I waited about 25 minutes to be seated. There were barely any servers. They had to pull people from the back to help (could tell by the clothes since everyone else was wearing black) everyone was running around sweating. Waited another 45 mins to get appitizer. And another 20 after that to get entree. The lady said that OpenTable did not stop reservations that's why they were over booked. However I don't think that explains why they had so little people working. I'm pretty sure any restaurant would have to assume that a Friday night would be busy. When we got our food. There was barely anything. You could tell they were running out of food. Confirmed my reservation the day of and arrived early. However despite all that, I kept being told to wait 10 more minutes for my party of 8. After 30 minutes we asked which table we were waiting for and how much longer. We were told that a table was just finishing up and they were just waiting to receive their dessert. That was easily another half hour wait to wait for them to receive, eat, pay and clean the table. Ended up walking out after that. We were hungry and not willing to wait another hour and a half to be seated and served some good. Severely understaffed and we were one of multiple parties that just gave up and left regardless of having reservations. Extremely under staff. Food did not taste like Malay food. Food was not hot. Very disappointed.